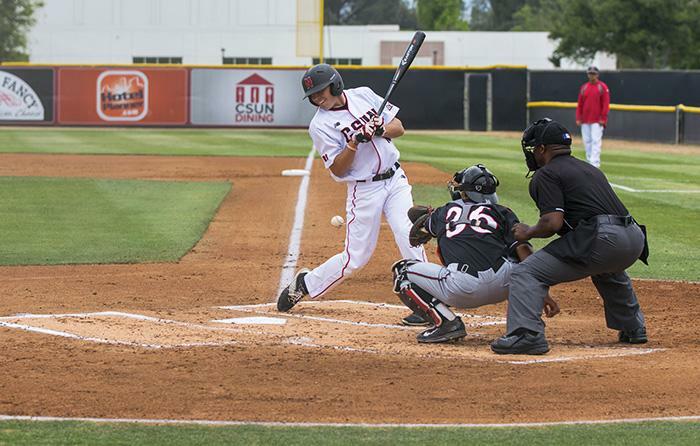 As CSUN faces UC Riverside Friday afternoon, here are photos from the Matadors game against San Diego State on April 21. 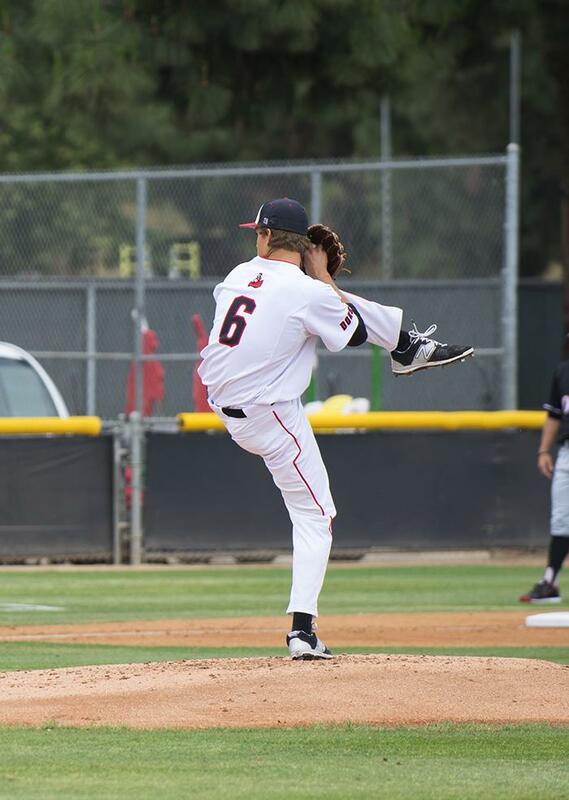 CSUN won 6-2 as pitcher Joe Ryan earned his first victory. Joe Ryan pitched a solid game, only allowed one run in the first four innings. 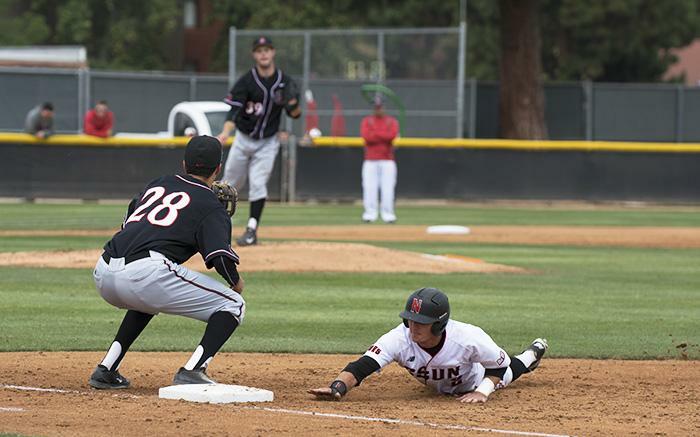 Ryan Raslowsky slides into base during their game against San Diego State. 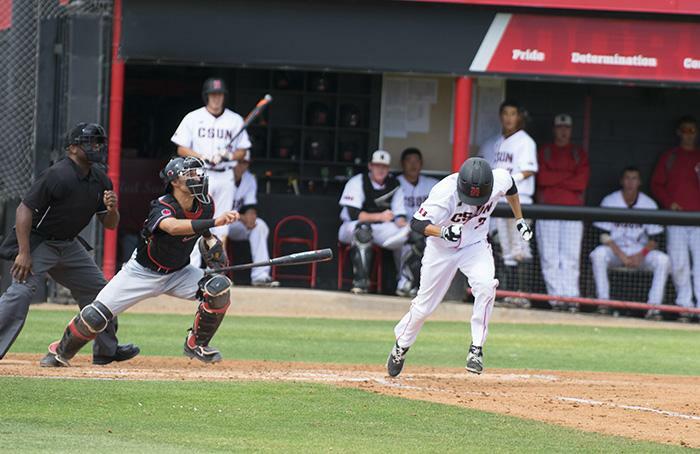 CSUN won 6-2 on April 21. A line drive in the third inning. 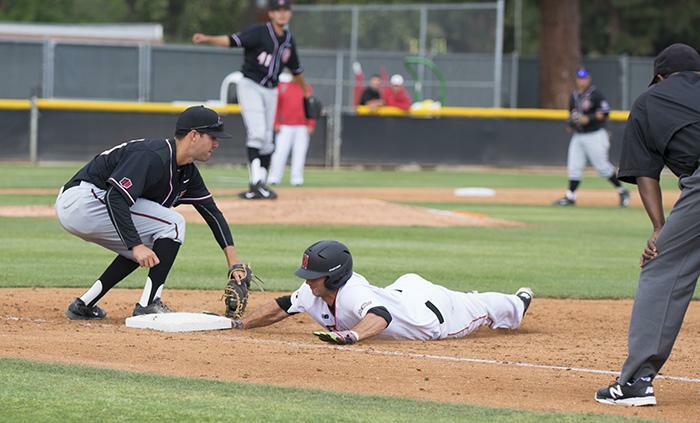 William Colantano had a solid hit to outfield and runs to get on base. 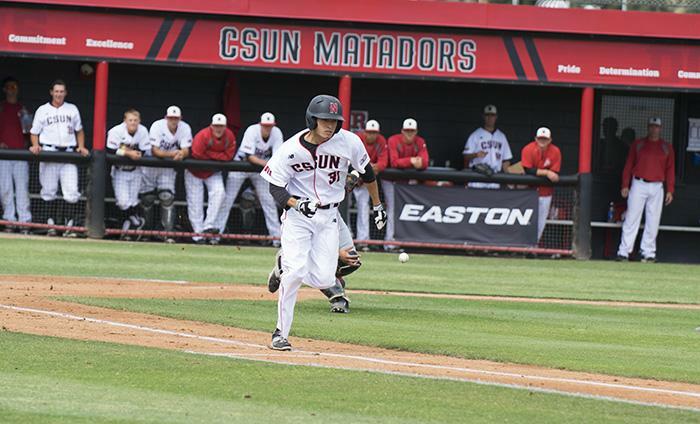 Elias Orona, running to as fast as he can after a bunt down the third base line. 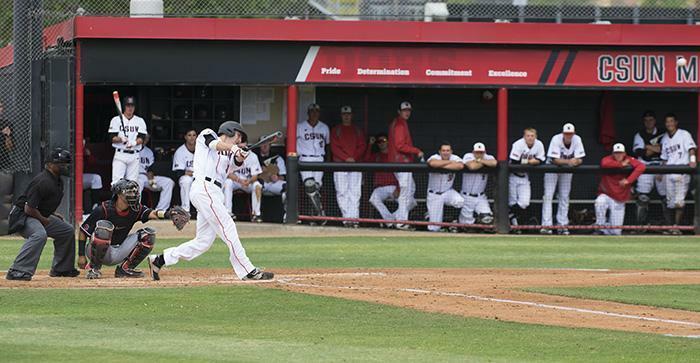 A player was hit in the thigh in the first inning.